The USC women’s soccer team came into this season with one of the program’s youngest rosters in recent history, with 16 freshmen and only four seniors on the 34-member squad. 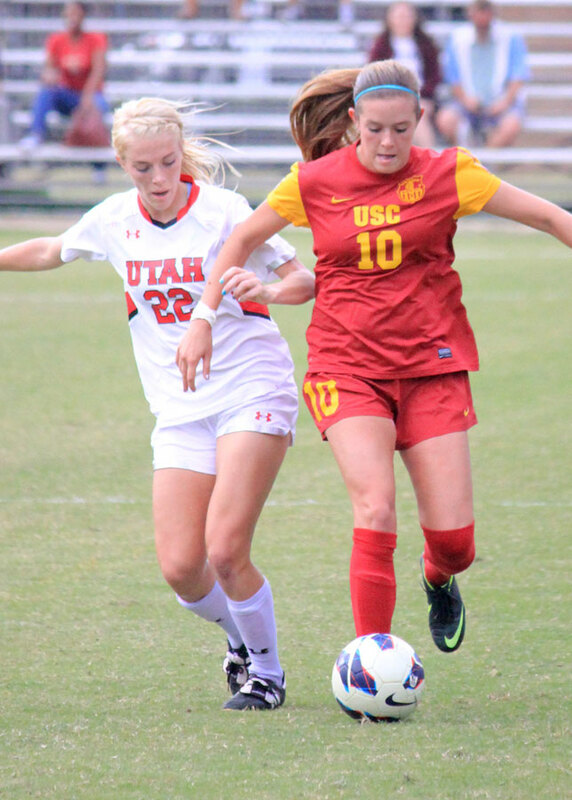 Last weekend was a microcosm of the team’s inconsistency; USC (5-8-3, 2-4-2) snapped a five-game winless streak on Friday by beating Utah, which was in fifth place in the Pac-12 before the match and is riding the bubble of the NCAA tournament. But the Women of Troy followed that up with a disappointing loss Sunday to last-place Colorado. Had the Women of Troy beat the Buffaloes, they would have moved into a tie for fourth place in the conference. Instead, they sit in eighth. USC’s season isn’t quite in the books yet — but the remaining schedule is daunting, and if the team won any of its last three games, it’d be a major upset. On Friday, No. 1 Stanford (14-1-1, 8-0-0), the defending national champion, comes to town to play the Women of Troy at the Los Angeles Memorial Coliseum. Two days later, USC faces off against No. 21 California (14-3-0, 7-1-0), winners of eight straight matches, at McAlister Field. Then, to close out the regular season, USC will host No. 3 UCLA (14-0-2, 7-0-1) next Friday. The Bruins have ony allowed six goals this season. Even if the team reeled off three wins against those powerhouses, USC’s record would still sit at 8-8-3. Last year, five Pac-12 teams received berths to the 64-team NCAA tournament, and Cal had the worst record at 12-6-2. 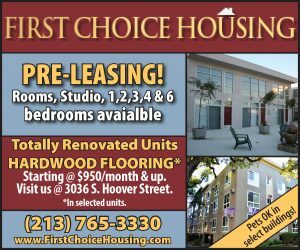 And though victories over the Cardinal, Golden Bears and Bruins would surely impress the selection committee, USC’s losses to unranked Minnesota, San Diego and Portland would serve major causes for concern — and those are just the bad results from nonconference play. Because of those reasons, plus the fact that USC has a ratings power index of just 126, the Women of Troy will probably watch postseason play from their couches for the second straight season. But the squad is still holding out hope. Even if they don’t end up qualifying for the NCAA tournament, the team has shown that there’s plenty of hope for next season and beyond. Junior midfielder Jordan Marada, who transferred from Saint Mary’s before this season, leads the team in nearly every offensive category — goals, assists, points, shots, shots on goal — and is one of only two players to start every game this year. The other is freshman forward Jamie Fink, who combines with fellow freshmen Katie Johnson and Megan Borman to give USC a formidable offensive unit for years to come. Despite giving up a conference-worst 1.88 goals per game, the Women of Troy have some bright spots on defense, too. USC leads the conference with 5.69 saves per game, which means sophomore goalkeeper Caroline Stanley has done her fair share to keep opponents from scoring. The rest of the defense has been crippled by injuries all season long; senior Kristina Noriega (concussion), redshirt sophomore Mia Bruno (quad strain) and sophomore Alex Quincey (foot) have all missed at least six games, and the trio hasn’t been on the field together during a match this season. As a result, freshmen defenders Marlee Carrillo and Erin Owen have been relied on more than was expected. There’s little question that the Women of Troy have gone through some growing pains this season. But Khosroshahin thinks the last two years have just been bumps in the road, not a sign of a program in decline. 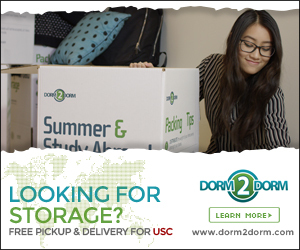 USC has a few opportunities coming up to build some major momentum towards next year. But if this young team is going to take advantage of them, they’ll have to start growing up — fast. “Chin Music” runs every other Thursday. 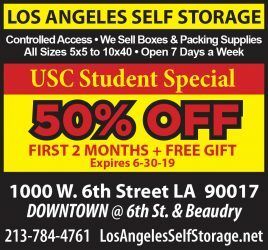 If you would like to comment on this story, visit DailyTrojan.com or email Will at wlaws@usc.edu.